Sleek, modern, incredible design in the best location – buy here and you have bought a piece of history – the view and location just cannot be beaten. With the Ivy and new ventures drawn to this location this is somewhere that will stand the test of time. We loved the architecture and design of the location and the apartment, to step onto the street or sit on your balcony and be able to see the iconic bridge is just so special. There are lots of new restaurants opening but we went for lunch at St Katherines Dock just over the bridge for all the additional bars and restaurants on offer. The flat was fairly set back down Duchess Walk which means the flat doesn’t get too much natural light. This building seems mainly to be investment properties with very few people living there, they just use the flat as a base for occasional use. This just seems outrageous in a city where I read that there is a massive shortage of homes. The building is beautiful but if living there would have hoped for more community. The swimming pool, gym & spa (all on the doorstep!) are so well equipped & such a pleasure. The new theatre open on the development would be a great treat & also a real surprise to friends. Â That the restaurants are opening over time and not all launched – but a minor inconvenience in the grand scheme of things. One Tower Bridge is situated on one of the last great riverside sites in London. Just moments from the City it offers the ultimate in 5-star luxury living experiences in the most exciting city in the world. We were impressed with the great looking apartments with fantastic views of Tower Bridge, the Tower of London, the Thames. One Tower Bridge development from the Berkeley Group really does make you want to part with your hard earned money. It is fantastic in pretty much every way. 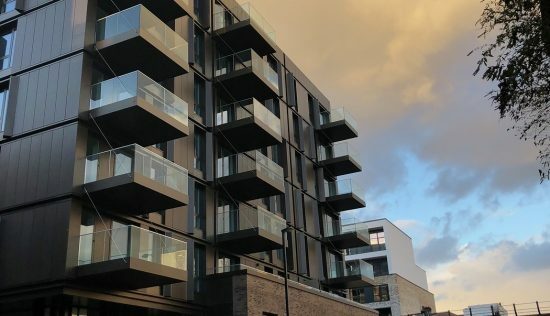 With 9 individual buildings, each with it’s own 24 hour concierge, combined with it’s own 900 seater theatre, a range of great restaurants including The Ivy Cafe, this development cannot really be rivalled by anything in SE1. 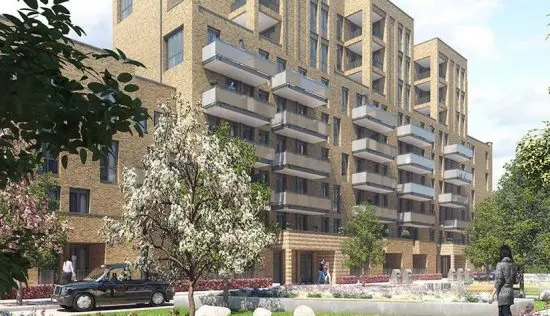 Although nearly 95% of the apartments are already sold, there are a few left, starting at GBP3m for a one bed flat but you get what you pay for, including a parking space at GBP150k! Whilst the gym, spa, pool are all as you would expect, pretty fabulous, they were busy when I visited at 11am on a Wednesday morning Saturday mornings must be hell! The views of Tower Bridge are incredible and even the apartments on the other side have a nice view of London and The Shard. The communal space in One Tower Bridge is well done, but does get busy as it is in such a high footfall area. There is one downfall to these apartments however, the living space in them, including even the penthouse I viewed, is very tight on space… Just look in the windows of the neighbours and you can see kids toys, boxes and prams in the living room not ideal. That said, if kids were not an issue, this development is fantastic. Residing at One Tower Bridge is a dream come true. One Tower Bridge is an excellent property development in the heart of London. The apartments are very well-designed and fitted. The one-bedroom apartment that my company sponsored me during my stay in London has high-specification fixtures, fittings and decorations. There is a fully fitted kitchen and an open living room leading to the balcony. The floor to ceiling window in the living room gives ample of natural light during the day. As a resident of One Tower Bridge, the development provides a number of benefits. Open 24 hours a day, 7 days a week and manned by full-time personnel, the concierge desk is conveniently located at the lobby for me to quickly stop by and arrange gourmet food deliveries, request the booking of theatre tickets, dinner reservations or chauffeur driven service to get me to the airport or anything else that I might need. There is a fully equipped gymnasium and spin studio. To me, business never sleeps. One Tower Bridge houses a business lounge that residents can reserve offering fast access of broadband, photocopying, printing and other vital services. Situated in the Cambridge House within One Tower Bridge development, the business lounge is the perfect environment for a workaholic like me to stage an early morning meeting, or put together the finishing touches to a crucially important presentation. Travelling to work is not a hassle at all. London Bridge Station is located 7 minutes’ walk from my apartment and I can reach my office at Canary Wharf in just under 10 minutes. After work, I can enjoy my dinner and drinks at The Ivy Restaurant which is located near my apartment. There is a piazza with some of Londons most exciting new restaurant. Overall, these luxury homes provide a five-star living experience by the banks of the Thames, which is also located close to global businesses, Michelin-starred restaurant and other attractions that are the focal point of Londons social and business elite. Another member of the prestigious One club which has taken over the The contingent One Tower Bridge gives buyers a real sense of being in the thick of the London action on the popular South Bank. 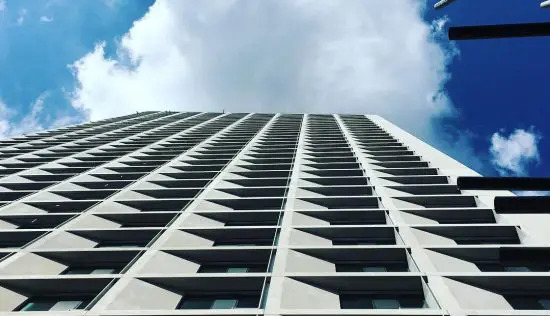 Developed by the Berkeley Group and designed by the mighty Squire and Partners, there are nine blocks of between five and 11 storeys, and one 20 storey tower, which contain a total of 356 private apartments and 46 affordable units. 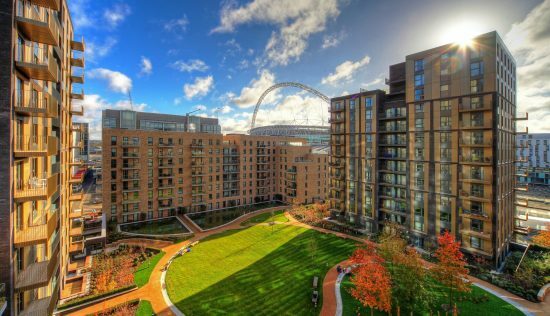 Expect to pay between GBP1.5million and GBP7million for a one, two or three bedroom home in this enviable neck of the woods, backed up by high spec interiors and world class amenities. One Tower Bridges’ main draw? Those views, of course. One Tower Bridge is surrounded by some of Londons most iconic landmarks, including the Tower of London, the River Thames and its namesake, Tower Bridge. Its also just moments away from the City, making it the ideal location for workers wanting to live within walking distance of the office. The nearest stations to One Tower Bridge are London Bridge (Northern and Jubilee lines), Tower Hill Underground (Circle and District lines) and Tower Gateway DLR, all less than a 10 minute walk away. From there, Canary Wharf takes 7 minutes, Kings Cross takes 11 minutes, and you can reach London Heathrow airport in under an hour. Drivers can apply for 90% off the central London congestion charge, which will add up to a considerable saving. Cultural hotspots such as the Tate Modern and Shakespeares Globe Theatre will count themselves as neighbours, while world renowned restaurants like Le Pont de la Tour, The new Ivy brasserie and Michelin starred Storey will provide date night venues to impress. Whats more, attractions like Borough Market, Covent Garden and Soho are all easily reached during evenings and weekends. As for things to do within One Tower Bridge, the list is long. Fitness fanatics will enjoy the private health spa with sauna, steam room and Jacuzzi, 20 metre Barr and Wray designed indoor pool, gym and spin studio with personal trainer service, and indoor golf simulator room. Other facilities include a business lounge and 10 seater boardroom with video conferencing and secretarial service, along with a Harrods 24 hour concierge and a 140 space Conran designed underground car park. Residents can also enjoy the amenities at the Lalit, the developments five star boutique hotel on Tooley Street, as well as the new Bridge Theatre, a 900 seat venue run by the London Theatre Company. One Tower Bridges interiors are full of warm rich textures, natural materials and clean modern finishes. The intricate parquet wooden flooring in particular gives the feeling of traditional craftsmanship in every room. Buyers will find details like polished marble from Verona, full height dark oak timber veneer internal doors, and stunning walnut baths in the master suites created by Swiss designers, along with more contemporary touches such as air conditioning, video phone entry systems and private balconies. Its a truly luxurious offering. 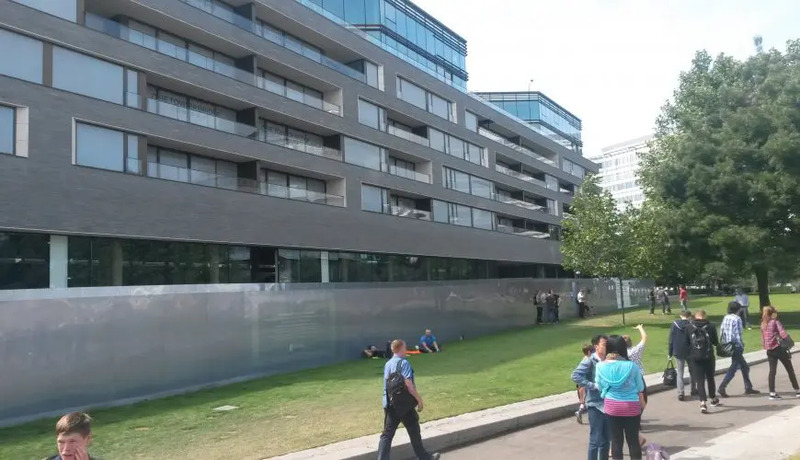 Outside, the buildings are a subtle mix of styles, which hit the right note when positioned between the traditional Shad Thames and the ultra modern More London. The surrounding landscaped gardens are a further plus for residents who can enjoy pottering in the private courtyards with water features. 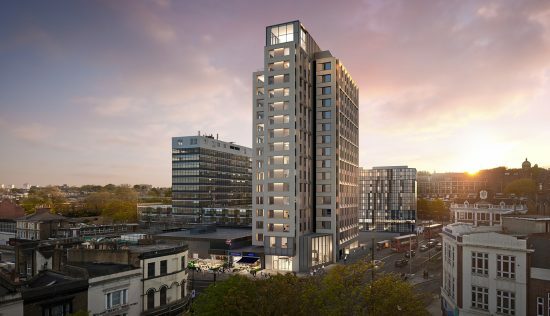 While the development will have its fair share of passers by and tourists, the prime zone 1 position of the development is hugely desirable and will therefore support the price per square foot, which is around GBP2,326 around double the average for SE1.